Ideal for extreme weather conditions, the black Santini Blast Neoprene Winter Gloves are incredibly warm, windproof and waterproof for complete protection from the elements. 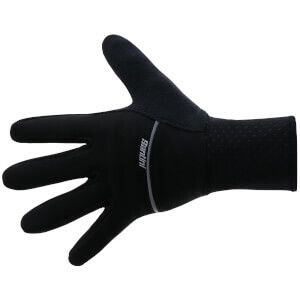 Featuring water-tight, welded seams, the cycling gloves are also completely elastic for the perfect fit. - L.M. Excellent on water proof, easy on and off and non-bulky profile...however wool or polypro liners still needed for warmth when temp hits 6-7 C from my perspective. Good value for the price!